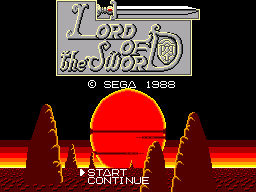 Lord of the Sword / Lord of Sword (ロード オブ ソード) - Games - SMS Power! 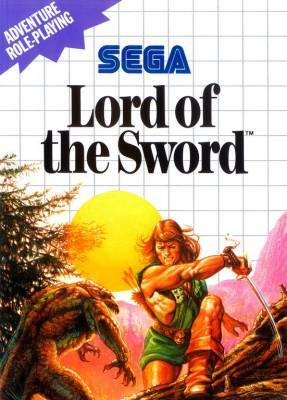 74 CVG magazine "Complete Guide to Sega"
Art thou the man who will be King or just another rogue with a sword? Your name is Landau. Here's your chance to prove thy worthiness to the council of Elders. The followers of the evil Ra Goan have toppled the king from the throne. None are brave enough to take his place. The Elders have decreed that any man who can pass three tests will become King of Baljinya. Find the Tree of Merill. Defeat the Goblin of Balala Valley. Destroy the Statue of Evil. It sounds easy But the followers of Ra Goan are waiting to stop you! It's an adventure that will take you across rivers and oceans, through swamps and over mountains. 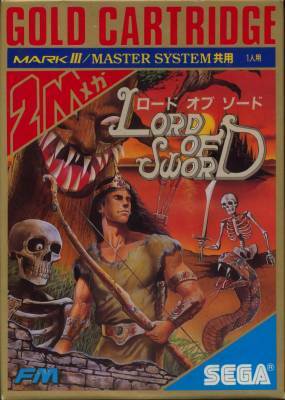 You have a sword and a bow. But magical weapons may become yours... for a price. Pass the tests and you shall be king. 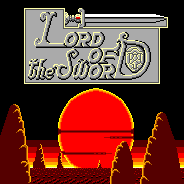 But remember: There's more to being a Lord of The Sword than hacking apart thine enemies!